“Be free,” Cherith said. “I think that might be what the Lord is saying to us in this moment. Just, be free.” I had dinner with a dear friend and mentor, Cherith Nordling- Fee. We chatted for several hours in a beautiful, west suburban restaurant, and at the end of the conversation that was her conclusion. It was those two words that cast into my mind an image of me entirely bound up. In that moment it was as if I were 100 feet up looking at myself bound and tied in a web of complex expectations that I had heaped upon myself. I was trying to be someone I wasn’t and simply could not be. So I will be free… to not be perfect. Over the last year, the demand of being a mother, a full-time student, and a full–time pastor has been grueling. I have had countless conversations with others who say, “How do you do it all?” I am not sure really, it’s all been a blur. 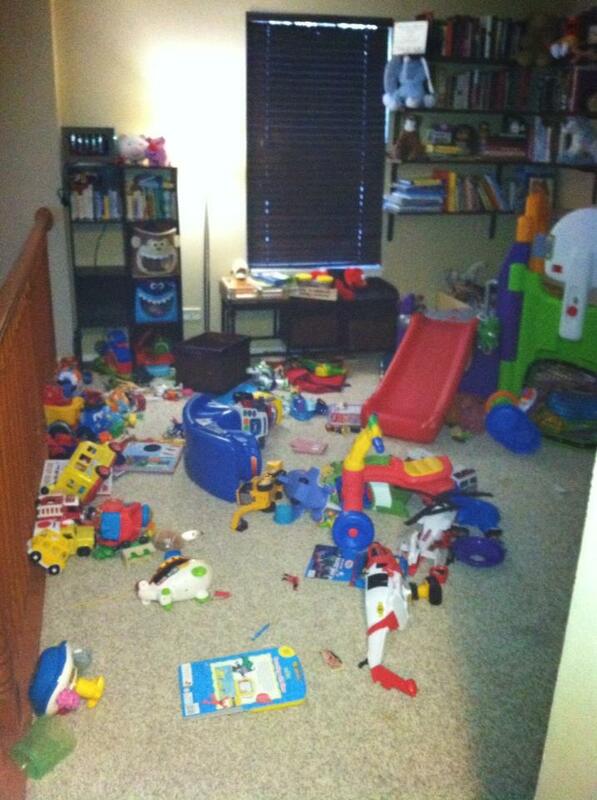 It’s not uncommon for our toy loft to look like this. 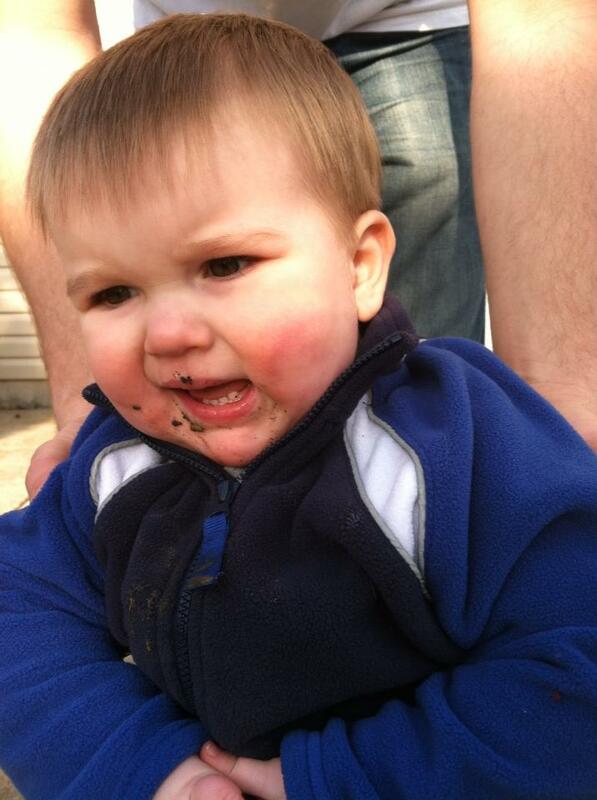 And sometimes my kids eat dirt. 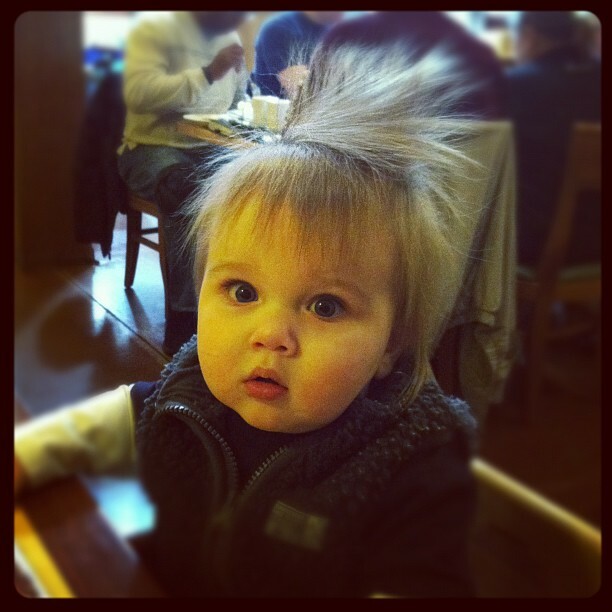 And I take them out in public with their hair looking like this. And I let them get dirty. And my gingerbread houses look like this (mine is on the right and my husbands is on the left). And I love to do laundry, but I hate to put it away. When things get really busy, I could go weeks, I mean WEEKS without putting the laundry entirely away. I kid you not; last quarter in school, there was a 6 week span where the clothes went from the dryer, to our backs, then back into the washer without ever seeing a dresser drawer. Where did we store it? Well, mostly on our bed. That’s right; we slept underneath a mountain of laundry for 6 weeks straight. Every night, I would lie underneath the mountain of clothes, seeing it as yet another symbol of my “failures.” I seemed to forget that I had been up to the wee hours of the night writing papers, reading difficult books, and serving in a Church. Oh, but I had to be perfect at everything. I wasn’t a failure; I was just listening to the wrong voice. The thing is, I hadn’t realized the burden of expectation I had held since living in Naperville/Aurora. Beauty, performance, excellence, and having-it-together is the de-facto here. Two nights ago, I attended my first ever book club in one of the wealthiest neighborhoods in Naperville. I was about 20 minutes late because I was leaving a prayer meeting at Church. I pulled up in our 8 year old, hatch back Ford Focus and looked around at the rest of the cars. I took a deep breath and came up with an exit plan at the end of the night. You see, I can’t get in through the driver’s side door of the Focus. It’s broke. So I have to crawl in from the other side. I imagined the scene, me awkwardly crawling in to my car from the other side, and all of the other women getting into their luxury vehicles. No way, I thought. I’ll just be the last one to leave, and then they won’t see me. As I walked in through the front door, I could see many of the women standing there in their dresses while I was in blue jeans. Now, these weren’t just any women, they were straight up from a red carpet scene in Hollywood, dazzling, beautiful women. I breathed deeply, put my chin up, pulled my shoulders back and walked confidently in to the room. I had a wonderful evening with everyone as I listened to their stories of staying home with their children. I had some of the same thoughts I had whenever I talk to a stay-at-home-mom. Am I a bad mom because I don’t stay home? Are my children going to go through counseling because their mom chose to “work”? At the end of the night, I successfully pulled away without a single person noticing me crawling in to the car. As I drove away, I thought, “I need to lose 30 pounds, like now.” I carefully devised of a weight loss plan all the way home. Then it dawned on me… Why am I so concerned about this? Is it because I want to fit in? Or is it because it’s really the best thing for me and my health? Unfortunately, I don’t think it was the latter. You see this experience is not uncommon. It takes only seconds for me to be bound up in guilt every time I scroll through Pinterest. And then I log on to Facebook and I see moms that always seem to have it perfectly together as they post pictures of their children doing arts and crafts. And then I scroll through blogs and I beat myself up for not writing like they do or not posting enough. And then I look in to the mirror… We won’t even go there. Last night, I realized I was drowning and caught up in a web of unrealistic expectations. Today I choose to be free, not bound in a web of guilt and an unattainable standard. I choose to be led by the Spirit, not perfection. 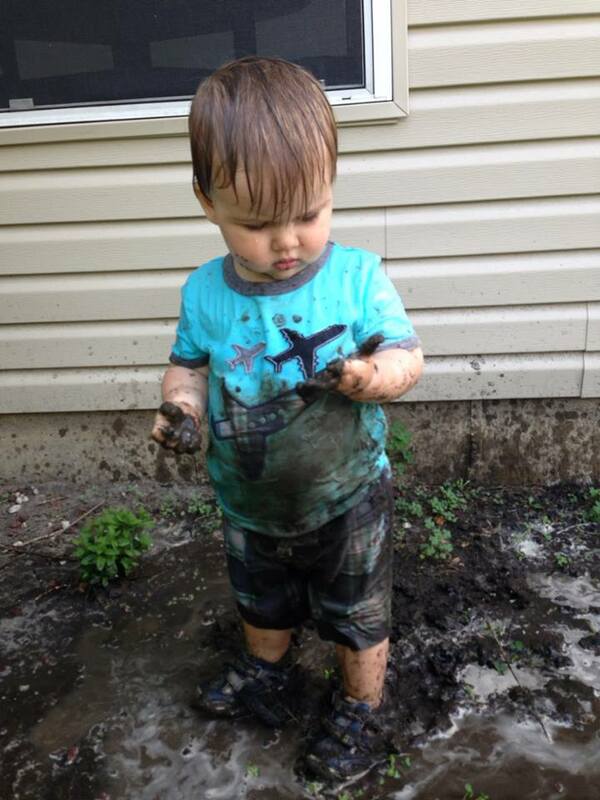 I choose not to be a Pinterest Mom and will embrace my “Pinterest fails.” I choose not to aim for an image of always having it together and instead will embrace the messiness of life. I have a longing that bellows from the bottom of my soul…to be free. I long to be the woman that God has created me to be; human, woman, and Spirit led. I long to be led by the wild, untamed, Spirit of the Living God. To go do things, not because I saw it on Pintrest or because I felt the need to be somebody I wasn’t, but because it was an overflow of the Spirit’s working in my life. I will be free to be transformed into the likeness and image of God, a woman marked by love, forgiveness, and prayer. This body is for praise, praise of the one who has conquered death, and shapes me beautifully to goodness, to holiness, and to peace. Thanks, PG! Miss your face! Love this so much my friend, and I love every inch of you for your honesty and for posting this. I am free with you and I love it…. What I have always loved about you, Tara Beth, is that you have always been so thoroughly genuine in your love for Christ. One of the great traps of ministry is to try to be something you’re not — and there will always be people in the church who will try to get you to conform to their expectations. If you only knew how admired, loved, and respected you are by those of us who are blessed to know you. I would take an imperfect Tara Beth Leach who passionately pursues Christ over someone who tries to convey that they have it all together. Thank you, Pastor King!!! Such beautiful words of encouragement!!! Pretty sure you’re my soul sister, as we are both on this journey of wife/mother/pastor/student-hood. You’re so right, in every way (including the messy house/kids). I gave up on Pinterest a long, long time ago! Thanks for this reminder, as I start another semester of school (literally, right now I am writing my first paper for the fall semester), throw in another load of laundry, run off to a wedding tomorrow, and worry about everything being perfect, all the time. 🙂 Thanks to your words, I will try to remember to be free. I am pretty sure you’re my soul sister, too! Man girl, I wish we could have spent more time together at General Assembly!!! So glad we are on this journey together. Truly. We can hold each other accountable to be free!!! Tara Beth — you are beautiful in every possible way – inside and out. Your heart is so precious, tender, and loving. I’ve missed you! Hey…. we are moving to Naperville!! Leo’s job has taken him back to Chicago….I am still in NC selling our house. We love NC and are sad to leave it…. but are excited to be living in the town where Leo and I “began” – at NCC!! Maybe we can get together when I finally get there? THANK YOU, Cindy!!! I so, so appreciate your words of encouragement!!! And, no way?!?!?!?! This excites me! I have missed you! We will have to connect! Do you know where you’re moving to in Naperville??? 631 N Webster, 60563. We are renting a tiny little stone house! Leo is already there…… We have now decided that we are open to simply renting this NC house for awhile til the market picks up here. It would mean so much to me if you would pray with us on this when the Lord prompts …… Leo and I really hate being apart like this. :(. I can’t wait to connect with you as well! Where do you live?? Love this. 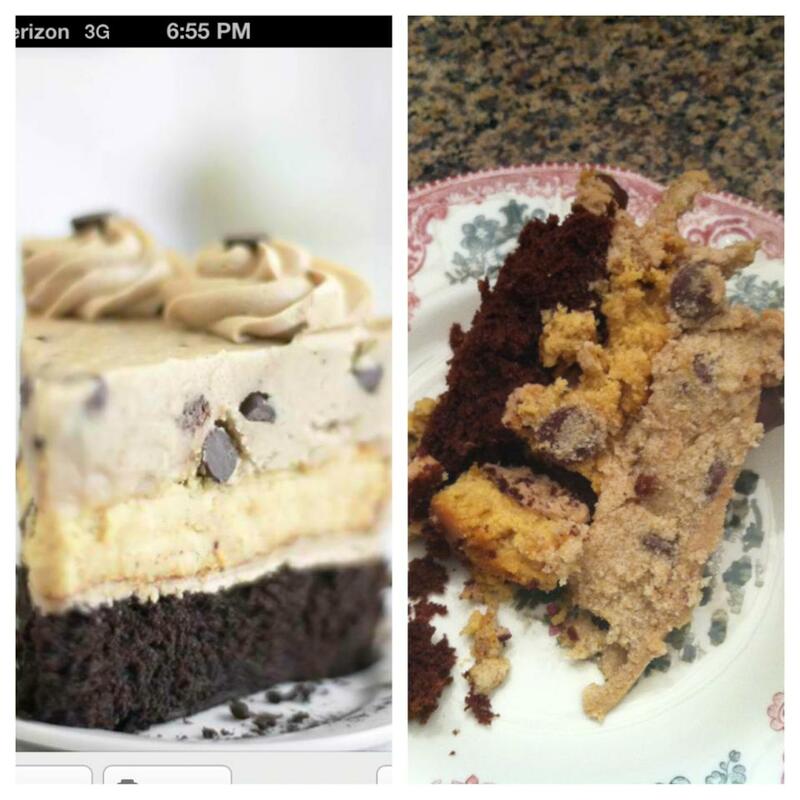 And I’ll eat your pinterest failures any day! Here’s the funny thing TB… You are perfect in all the ways that really count. I’ve spoken to the dude who created you and he does really good work. Thank you, Ellen! Tessa Defore? Love her! I checked out your blog. Very cute! Just saw this reply…sorry! Yes, Tessa Defore 🙂 Thanks so much for visiting my blog! Looking forward to reading more of yours. Always love hearing your voice, even if it is only in print here on your blog! Inspirational words to take to heart (although i know i am so NOT close to perfection in any area, yet somehow think I should be…). Your blog is like a Breath of fresh air Thanks for writing!